Qingfeng Li stepped forward and sensed the strong auras emanating off the bodies of those hundred self-cultivators. These were not just any self-cultivators, but the elders and followers of many super sects. 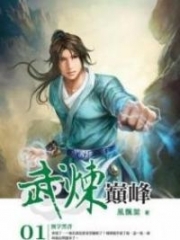 The look on Qingfeng's face became serious, because he saw the lord and the first elder of the Blaze Sect, not to mention their numerous elites and followers. At the Dragon-Tiger Canyon, there were not only those from the Blaze Sect, but also those from the Blade Emperor Sect, the Beast Emperor Sect, and the Talisman Emperor Sect. Qingfeng Li even saw those from the Murder Emperor Sect, which was rare. Everyone part of that sect were killers and were all very strong, with powerful capabilities. They were specialized in a.s.sa.s.sinations. 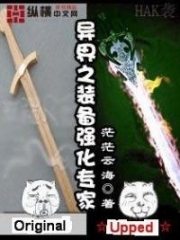 One sword strike from a member of the Murder Emperor Sect could kill a self-cultivator without them noticing, which made them very famous in the world of self cultivation. Rather, it made them very infamous. Everyone around hated the Murder Emperor Sect, more than they hated those from the Demonic Dao. Those from the Demonic Dao were thoroughly evil, but they would fight out in the open. These people from the Murder Emperor Sect would only choose to attack unprepared and injured people from the dark. You wouldn't know how you died. Qingfeng Li looked towards the Murder Emperor Sect crowd and realized that the leader was a woman, about forty years old and looked very pretty. But she was a little bit pale. Although her body was beautiful, she looked a little aloof, exuding a chilling murderous intent around her body. Everyone around were not brave enough to get close to the woman in black. She was the sect master of the Murder Emperor Sect, and was named Bingbing Sha. When Qingfeng Li looked at Bingbing Sha, she turned her head and looked at him as well, with cold, ruthless, and bloodthirsty eyes, which made Qingfeng Li feel nervous. Her eyes were so frightening, especially because she was very powerful. She was a few levels higher than Qingfeng Li. Qingfeng Li looked forward. Other than these powerful sects like the Blaze Sect, Murder Emperor Sect, Sword Emperor Sect, and Talisman Emperor Sect, there were also many other sects and every one of them were very powerful. The heart spirit fruit was too attractive, bringing so many people here to fight for it. As long as they could get the heart spirit fruit, they would rise in rank. "Brother Li, you are also here." Suddenly, a surprised voice rang out. Qingfeng Li turned over and saw Xianxian Mu speaking. Xianxian Mu was wearing a red dress today, with slight makeup on, making her look slim and very pretty. She was standing there with her long hair flying, looking very attractive. Qingfeng Li smiled and said, "Xianxian Mu, you are also here to fight for the heart spirit fruit?" Xianxian Mu's expression became shy and she said, "I heard that there are heart spirit fruits here, so I came to take a look." Qingfeng Li smiled and said to Xianxian Mu, "Xianxian Mu, do me a favor." Xianxian Mu smiled and said, "Brother Li, what can I help you with? Just say and I will help you." Xianxian Mu's face lightened up, because she was feeling quite happy. Qingfeng Li had helped Xianxian Mu a lot and had saved her a couple times, and Xianxian Mu hadn't had any chance to pay him back. Now that Qingfeng had asked Xianxian Mu to help, she felt very happy because she would be of some use to him now. Qingfeng Li smiled and handed over Linger Yao to Xianxian Mu and said, "Xianxian Mu, please help me taken care of Linger Yao." Hearing what Qingfeng Li said, Xianxian Mu was surprised. She never imagined that the favour he would ask her was to take care of a women. Xianxian Mu's look changed because she noticed that Qingfeng Li had a good relations.h.i.+p with this woman and she might be his girlfriend. Now that he was getting her to take care of his woman, she was obviously feeling jealous. "Xianxian Mu, if you are not willing to help, I will ask someone else." Qingfeng Li noticed that Xianxian Mu was unwilling and said. Xianxian Mu waved her hands and said, "Qingfeng Li, of course I am willing to take care of Linger Yao. I will do anything you want me to." One had to admit that Xianxian Mu liked Qingfeng Li quite a lot, since she was willing to take care of his woman for him. Qingfeng Li was feeling relieved, because if he wanted to fight, Linger Yao must be taken care of by someone else. Black Puppy and Sky-Devouring Snake were both G.o.dly beasts and didn't know how to take care of others. The fat Daoist had a mysterious background and Qingfeng Li did not feel it was safe to let him take care of Linger Yao. Qingfeng Li wanted to fight for the heart spirit fruit himself so he didn't have the time. 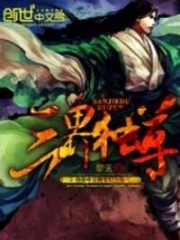 Xianxian Mu appeared to be his best choice. Or, he would have to find someone else, which would be complicated. For Xianxian Mu, Qingfeng Li wasn't worried because he could obviously see that this young girl had feelings for him. Qingfeng Li had a lot of women already and also many girlfriends, so he didn't want to play with Xianxian Mu. Qingfeng Li gave Linger Yao to Xianxian Mu and then walked to the front. Qingfeng Li walked a few step forward, but was stopped by a disciple in black. This disciple in black was about twenty years old. He looked very pale with a skinny face and a tall and thin body, sporting a robe with the character "Kill" embroidered on his cuffs. "Stop, this is the territory of our Murder Emperor Sect. The heart spirit fruit has been reserved by us, so you must leave here now," the man in black stretched out his finger and said to Qingfeng Li. Those from the Murder Emperor Sect were very bossy and arrogant, not even looking at Qingfeng Li at all and thinking he wasn't worth fighting. Hearing the voice of the man in black, Qingfeng's face turned cold and anger rose from his heart. This canyon was unclaimed, not belonging to anyone. The heart magic heart didn't belong to anyone either, so everyone was qualified to go for the fruits. But the man in black in front of him wanted Qingfeng Li to leave. There was no doubt that Qingfeng Li wouldn't leave because he had to get the heart spirit fruit to save Linger Yao. Qingfeng Li suddenly stretched out his right hand and grabbed the fingers of the man in black. He applied some force and, with a crisp craking sound, he broke the fingers of the man in black. The speed that Qingfeng attacked was so fast that the young man in black couldn't react at all. After he realized what was happening, his fingers were already broken. The young man in black cried out. All of his fingers were broken; it was too miserable, and he couldn't handle the sudden pain. Those around him were all shocked. They didn't imagine that Qingfeng Li would be so brave that he would break the fingers of the thin and tall young man. 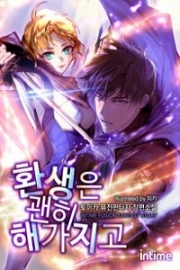 You're Read My Cold and Elegant CEO Wife Chapter 1418: Murder Emperor Sect online. If you find any errors or translatation mistakes, please let us know so we can fix that as soon as possible. 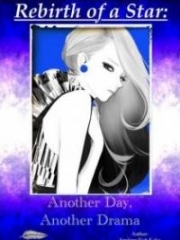 You're reading My Cold and Elegant CEO Wife by Author(s): I Love Mermaid, 我爱美人鱼. 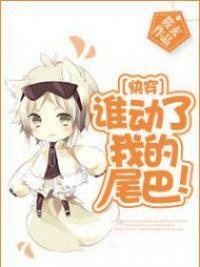 This novel has been translated and updated at LightNovelsOnl.com and has already 255 views. And it would be great if you choose to read and follow your favorite novel on our website. We promise you that we'll bring you the latest novels, a novel list updates everyday and free. LightNovelsOnl.com is a very smart website for reading novels online, friendly on mobile. If you have any questions, please do not hesitate to contact us at [email protected] or just simply leave your comment so we'll know how to make you happy. 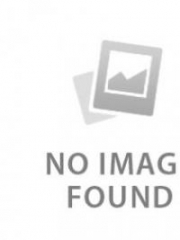 Current Time is 19-Apr-2019 16:53:48 PM.